I started the ski season yesterday at Copper Mountain. Tried to go out Tuesday morning but it was extremely windy in Boulder so I decided to wait a day. Wednesday on the mountain it was warm, clear, calm, and sunny. Very pleasant first trip. No fresh snow, but plenty of cover. 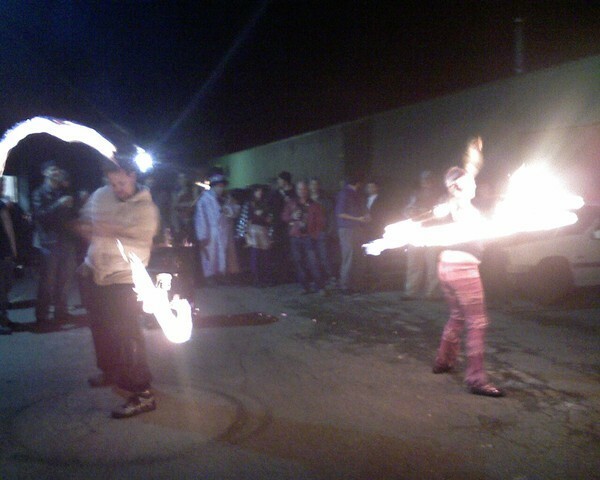 Last night for NYE I went to the grand opening party for the Phoenix Asylum artist co-op here in Boulder. They had the place, which is normally a shop for metal working, wood working, etc, in nice shape for a party with lights, DJ, VJ, bar, etc. They had some good fire spinners as well.